On Friday night Hannity dropped another bomb. Comey may have a few sleepless nights ahead of him. 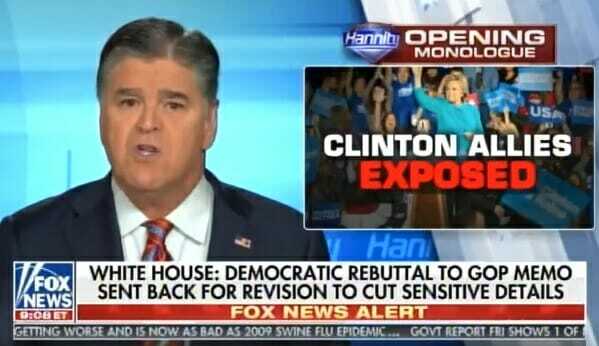 Sean Hannity: Like we’ve been telling you, sit tight. If you think this is bad right now I promise you it’s going to only get worse. What we have now is a sliver of the information. It’s coming out day by day. I’ve been warning you from the beginning this is Watergate on steroids. And as you can see this gets more corrupt by the day.